After a successful run of Jumpstart your Business: How to launch your Next Project, NextStep Workshops now bring you Roadmap to Success: Strategic Planning for your Business Idea, a series of workshops aimed to aid entrepreneurs to set themselves up for success. Our goal is to help budding entrepreneurs focus on the details of setting up your business idea: from building your foundation, formulating your value proposition and predicting the trends in your customer’s buying behavior. We will help you define and identify your target market, analyze your idea’s strengths and weaknesses and develop a strategy that will launch your business to success. Your business plan tells the story of your journey as an entrepreneur. With the right direction, it can also be a powerful tool you can use to get funding, close sales deals, and attract the right people to make your dreams come true. This workshop will help you create a business model tailor-fitted to bring out the best results for your business. Identifying your product market fit is a golden rule in business. While providing solutions for customers is great, understanding the buying behavior of your clients is necessary to make sure that profit is coming in. This workshop aims to help establish your business idea in today’s market, predict your customer’s buying behavior and see how you can develop and upgrade your value proposition, keeping it in line with your customers’ as time goes by. If there’s any skill you need to master as an entrepreneur, it’s the ability to maximize the use of your time and resources to its fullest capacities. How you handle your time can either become your biggest asset or your own downfall. The Pareto Principle, commonly known as the 80/20 Rule of Time Management, is one of the most effective among all time management systems. Learning to recognize tasks that will yield more results will have a positive impact in the way you handle your affairs, both in business and your personal life. This workshop aims to deepen your understanding of the Pareto Principle and show you how you can effectively use it to your advantage. It’s easy to be intimidated by numbers, all the more so if it’s the numbers for your business. Once you start, you would need to understand balance sheets, cash flows, profits, and loss. Knowing your numbers can help ensure the survival of your business in its first eighteen months. Through it, you’ll get a feel of your target market, plan a marketing strategy to increase your brand’s exposure and even fine tune your business plan. This workshop aims to help you simplify how you plan your business, understand the basics of accounting, and use numbers to guide you in setting up goals for your business. Some people are naturally gifted when it comes to organizing stuff. Others, however, are not so lucky. It’s a good thing that online tools such as Trello are now available, making it easier for project managers to organize and assign tasks to their teams. This workshop will teach you about how you can maximize Trello’s features and use it to manage tasks and increase your team’s productivity and accountability. Nowadays, mobile phones are an entrepreneur’s friend. With days filled with long to-do lists, apps like Slack and Trello enable entrepreneurs to operate their businesses without having to be on the production floor all the time. Finding the right apps, tools, and resources is the key to working smart, and this workshop will help you identify the right tools that fit your business needs. Learn how you can maximize apps, tools, and resources and use it to grow your business. Aspiring entrepreneurs, everybody who have said “I should make a business out of this” recently, everybody that have a business idea but need a little help to get the ball rolling, and anyone wanting to know how to plan, start and manage their business. This series will give budding entrepreneurs a deeper understanding of how to plan, prepare and execute their business ideas. Under the guidance of NextStep Workshop founder, Greg Prudhommeaux, you will gain practical tips on creating the foundation of your business and brand identity, come up with a stable value proposition that can evolve along with the customer’s needs, and maximize your time, energy and resources that will assist in ensuring your business’ success. Greg Prudhommeaux came to China filled with curiosity and the desire to learn more about the country, its culture, and its people. After moving to China in 2005 and setting up a partnership with a local consultation firm, he quickly realized the importance of Guanxi which is a system of social networks and influential relationships that facilitate business and other dealings in China. Having very minimal connections, he reached out to his friends and found out that they were also experiencing the same challenges in setting up their businesses. So in 2007, in collaboration with Joe Constanty, Greg set up the workings for NextStep. It was a platform where local and foreign businessmen, investors, and entrepreneurs can introduce themselves and connect with like-minded individuals. NextStep was a revolutionary concept, one of the first of its kind in 2007. In three years, they were able to connect people and help establish a community of professionals in Shanghai through over 300 organized events. After the success of NextStep, Greg joined ALTIOS International in 2010, a leading French firm in Outbound and Inbound projects that helped over 100 companies per year with their expansion in China. While working with different companies with different needs, Greg understood how important it is for individuals to pursue continuous learning, to help them better handle their affairs. His curiosity about business and its dealing got the best of him since he didn’t go to any business school. 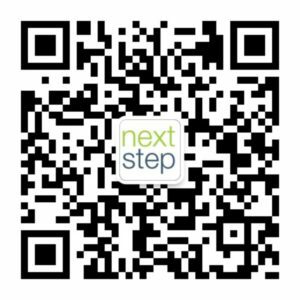 This inspired him to relaunch NextStep, where he could search for interesting topics catered to professionals, find experts in the specified topics, and learn together with those who share the same curiosity.